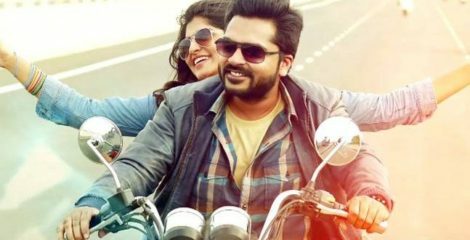 The much awaited film Acham Yenbathu Madamaiyada starring Silambarasan and Manjima Mohan released on the 12th of November , after facing its usual dose of controversies . Directed by Gautham Vasudev Menon, Acham Enbadhu Madamaiyada is a bilingual film released both in Tamil and Telugu. Silambarasan is portrayed as young man who despite having completed his MBA , idles at home just hanging out with his friends. He is introduced as a person who has not had great luck in the field of love. The plot revolves around Simbu changing from an idle person with no further plans about his future, to a man who is confident about his ways and doesn’t fear anything. GVM is well known for his romances. The romance between the two grows gradually with the film and doesn’t seem cheesy like the previous GVM films. There is a lot left unsaid than said, and that makes the plot interesting. The second half of the film is completely different from the first which took the audience by surprise. Simbu has played his role effortlessly. He lives up to the audiences’ expectations. 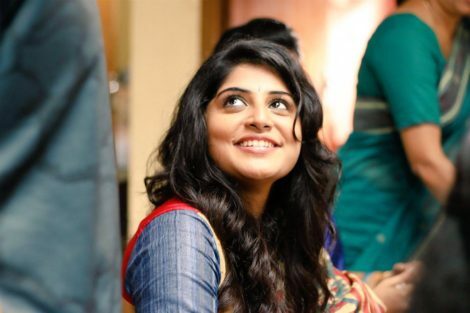 Manjima has made a commendable Tamil debut. Her role showcases a facade of emotions. Singer Baba Shegal has made his Tamil debut in acting as well. His bald look, bold tone and loud voice adds to his role. Daniel Balaji’s skills were wasted and GVM could have exploited him more. 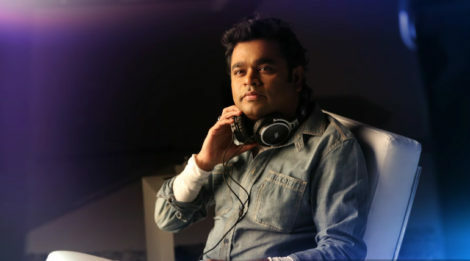 The back-ground score is by Academy Award winner A.R.Rahman. The Mozart of Madras lived up to his billing. The necessary silence at times gave the required chills. The songs were a huge hit already and the screen play made them all the more stunning. The song “Thalli Pogadhey” which took the world by storm when it was released, was used in an unexpected scenario and that makes the song enchanting. The first half of the film had the same GVM elements-an engineering graduate who has no idea about his future, who goes in search of his love, long drives, break ups. The pace of the film increased during the second half. All the songs were placed in the first half of the film so as to not disturb the pace of the second half. The first half is a road movie and the second half is an action-thriller. GVM has a unique talent for spoiling the climax in every film. The climax seemed awkward and the screenplay gets on your nerves. What’s the point of having the best dinner if the dessert is screwed? Overall, it has been a great comeback for Simbu. The film is a treat to the audience and is neither the usual masala entertainer nor a typical GVM film. Sugan Kumar is an avid movie buff and a second year Computer Technology student. This entry was posted in An MITian's voice, General, Movie Review and tagged movie, review. Bookmark the permalink.